Getting attacked is something nobody wants nor should anybody get to experience. 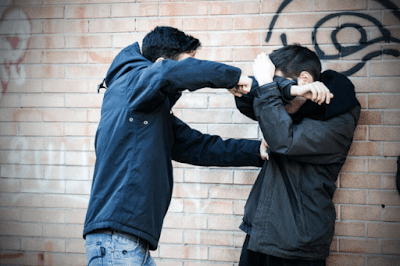 However, it’s common to hear about an acquaintance getting mugged while on the way to the parking lot or passing by a dark alley. If this unfortunate event happens to you, are you prepared to defend yourself? There are a lot of nonlethal self-defense weapons that you can safely carry around no matter where you go. This is arguably the most popular choice of a self-defense weapon. They are non lethal yet they are able to neutralize the attacker for a minimum of five seconds. When you’re in a dangerous situation, this amount of time is sufficient enough for you to get out of the situation and find a safe place. It is said that being hit with an electric stun gun is similar to having a force beyond description grab you by the spine and being shaken for what seems like the longest five seconds of your life. This inconspicuous item will provide maximum benefits as it is very useful when defending yourself. Just imagine how Jason Bourne was able to use this in neutralizing an attacker and you’ll understand. This item can definitely injure the attacker and can buy you time to escape. They are very mobile as they are collapsible, easy to use, and lightweight so you can carry them anywhere. They come in all shapes and sizes but their usability is something you can’t neglect. You can either opt for a knuckle weapon, panic alarm, or expandable steel. There are also keychains that work as a pepper spray or stun gun. One of the most used self-defense weapons is the pepper spray. They are easy to carry and use, very effective, and can cause considerable injury to the attacker.